The feast day of St. Josephine Bakhita, February 8, has been designated as the first International Day of Prayer and Awareness against Human Trafficking. Last year, the U.S. Conference of Catholic Bishops’ (USCCB) Committee on Migration designated such date as an annual day of prayer for survivors and victims of human trafficking. Later that year, the Pontifical Council for Justice and Peace and the International Union of Superiors General at the Vatican, that the 2015 event will also be observed internationally. St. Josephine Bakhita was kidnapped as a child and sold into slavery in Sudan and taken to Italy. Once Josephine demanded her freedom, she entered the religious life with the Canossian sisters and dedicated her life to sharing her testament of deliverance from slavery and comforting the poor and suffering. The day is intended to raise awareness and to encourage reflection on the violence and injustice that affect the numerous victims of trafficking. The observance is being promoted for all dioceses, parishes and church groups. Pope Francis highlights in Evangelii Gaudium that human trafficking affects everyone. “How I wish that all of us would hear God’s cry: ‘Where is your brother?’ (Gen 4:9). Where is your brother or sister who is enslaved? Where is the brother and sister whom you are killing each day in clandestine warehouses, in rings of prostitution, in children used for begging, in exploiting undocumented labour? Let us not look the other way. There is greater complicity than we think. The issue involves everyone!” Pope Francis wrote. “We couldn’t be more thrilled that the focus will now be international. Our brothers and sisters around the world want to prevent human trafficking as much as we do. It’s awe-inspiring to think that Catholics from so many different countries will gather together on the same day to pray for the same cause,” said Ambassador Johnny Young, executive director of USCCB Migration and Refugee Services. Bishop Martin Holley, auxiliary bishop of Washington, will hold a special Mass on Sunday, February 8 at noon, for the victims and survivors of human trafficking at the Basilica of the National Shrine of the Immaculate Conception. Catholics who do not live near Washington are encouraged to host or attend prayer services or awareness-raising events in their own communities and parishes. More information is available here. 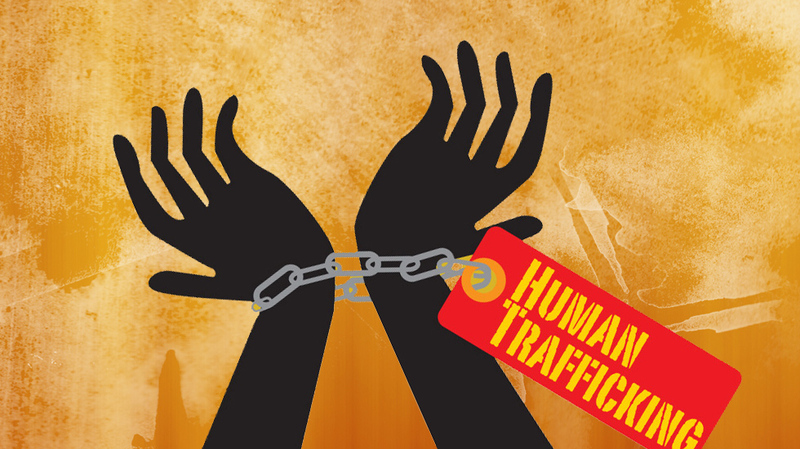 USCCB’s Anti-Trafficking Program advocates for better protection for victims of human trafficking, provides training and technical assistance to service providers and educates the public on the prevalence of human trafficking. In 2013, USCCB launched the Amistad Movement to empower immigrants and local leaders to prevent human trafficking in their communities.